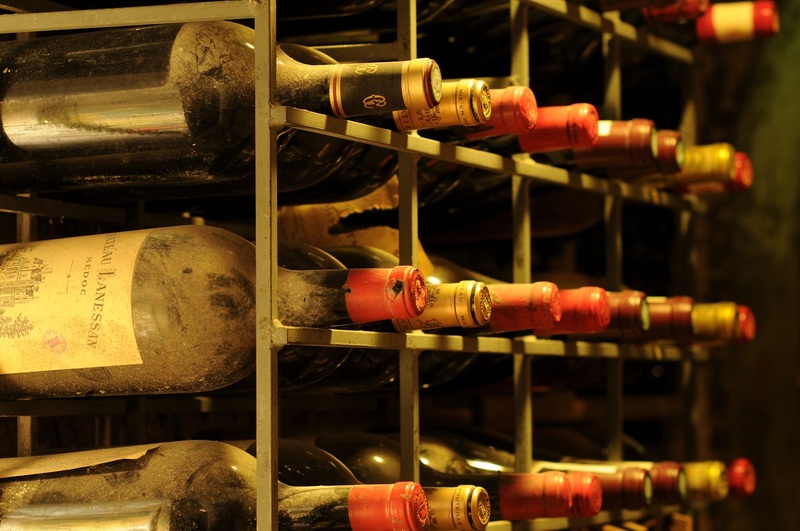 The Tour d’Argent prides itself on having the most technically perfect cellars in Paris, whose glorious treasures and most renowned bottles find their most desired casket. Among these 320 000 bottles lying there, some rare trophies, certainly collectors’ items and also some fine specimens selected from unparalleled vintages. A Château Citran 1858 is the oldest bottle amongst our cellar wines. On its left, lies a Château Citran from the prestigious vintage year, 1865. One bottle, which is totally covered with dust and whose date you can barely read, is a Château Gruaud-Larose. In fact, it is from the terrible year of 1870, despite it being a great year for the Medoc vine-grower. There is also the ancestor of the white Bordeaux; a Château d’Yquem 1871, a year in which the Gods and Heavens particularly favored the Sauternes. Even more exalted still is the 1874 vintage, from which we have treasured a Château Rayne-Vigneau and from 1893 we still have a Château Guiraud, whose supreme quality speaks for itself. Yet, our cellars are mostly devoted to burgundy wine. Here, among so many famous others, you can see the three finest jewels of former Burgundian grape crops; a Chambertin 1865, a Clos-Vougeot 1870, a Romanée 1874. Even older still are the brandies. Let us read them out: Fine Champagne, Logis de Servolles 1797, and a Cognac, Clos du Griffier 1788, the finest ever… Let’s take a look at these curious bottles. To be honest, they contain a very average beverage, a wine well past its time. Each one of these bottles would have been used as a reward for a glorious act or as money in illicit deals. This wine, “The Corsairs’ wine” and in fact the collection, were the trophy of a defeated buccaneer. Here now, are the two gems of our cellars, two very rare flasks; these two bottles of Napoleon brandy are the very ones that André Terrail used to take legitimate pride in… True, alas, there is only one left. The other one was stolen by Pierpont Morgan and replaced with a letter of excuse and a blank check, which André Terrail sent back. That’s how the cellar of the Tour d’Argent is perhaps the only place in the world where a billionaire has ever staged a hold-up. All these treasures were saved from the German occupation during the Second World War thanks to Claude Terrail, who walled up part of the cellars on the night of the 14th of June 1940. David Ridgway is the Head Sommelier at the Tour d’Argent and has been instrumental in doting our restaurant with one of the richest wine cellars in France and probably the world. His role is not limited to creating the cellars but also to share his unparalleled expertise with the Tour d’Argent’s demanding international clientele to procure for them a culinary experience of the highest level. Thanks to him, we have been awarded the “WineSpectator Grand Award” every year since 1986. Before joining the Tour d’Argent in 1981, David Ridgway worked as a Sommelier and Headwaiter in diverse restaurants in England and Germany. During his career he wrote several books on wine, including the” Grand Atlas du Vin” from the Atlas publishing house, “Un guide des Sommeliers” at the Fleurus publishing house and “Amateur de Champagne”. He has also been the recipient of numerous awards including the Trophée Spirit (2004), Sommelier de L’Année from the Guide Pudlo Paris (1998), and Maître Sommelier de France. 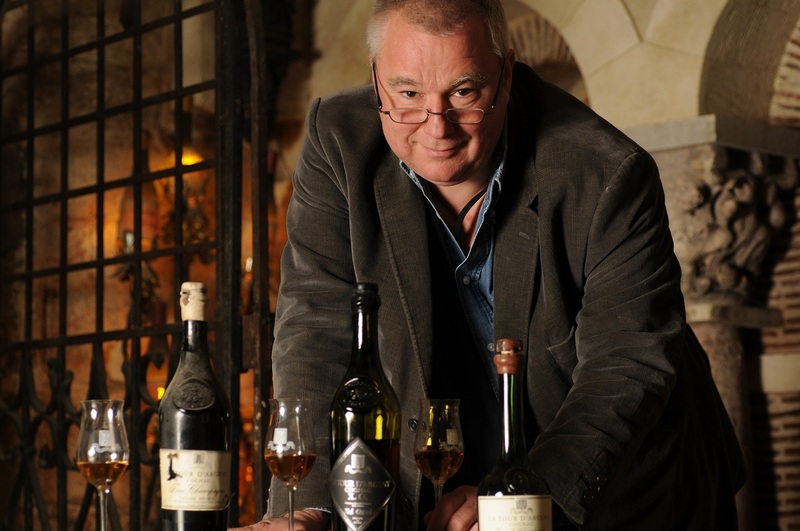 David Ridgway is a founding member of Les Dégustations du Grand Jury and he teaches oenology at l’Asforest in Paris. He studied at the Wine and Spirit Trust in London and at the Westminster Hotel School.